During the first half of 2002, the Office of the High Representative (OHR) continued its efforts to oversee the implementation of the civilian aspects of the 1995 Peace Agreement. This was an important period as on 27 May Mr. Wolfgang Petritsch completed his tenure as High Repesentative for Bosnia and Herzegovina (BiH) and handed over to his successor, Lord Ashdown, who was also appointed as the Special Representative of the European Union (EU). During this time, BiH has joined the Council of Europe, a significant achievement for the whole country. The role of the EU has gained prominence thanks to its offer to provide a Police Mission (EUPM), from 1 January 2003, to follow the end of UNMIBH’s (United Nations Mission in BiH) mandate and replace the UN-IPTF (United Nations International Police Task Force). The UN Security Council endorsed this offer once it was accepted by the Steering Board of the Peace Implementation Council as part and parcel of a comprehensive rule of law programme. In this regard, the new High Representative has made clear his determination to step up the pace of reform in BiH. He has given priority to the establishment of the rule of law, and in that context, will focus on a wide array of activities, including judicial reform and the fight against corruption. The High Representative intends to ensure that BiH speeds up its progress with the Stabilisation and Association process (SAp), in particular by complying with the requirements of the EU Road Map. The support from the EU as a whole was key for the work of the OHR, especially for the constitutional reform in both entities and the fight against corruption. On 19 April a constitutional reform was enacted in both entities on the basis of the Mrakovica-Sarajevo Agreement concluded under the auspices of the High Representative, by the main political parties in the country. The crux of the reform was to revise the constitutions of the Federation and the Republika Srpska (RS) in accordance with the landmark decision issued in 2000 by the BiH Constitutional Court in the constituent peoples’ case. The constitutional amendments give equal status to the Bosniacs, Croats and Serbs in both entities. In other words, as of the date of this reform, the RS is not exclusively a Serb entity anymore, the same applying to the Federation in the sense that it is not solely Bosniac and Croat. This reform will lead to a fairer distribution of posts among the constituent peoples in the entities’ governments, the administration and the judiciary. At the same time it will allow for representatives of one constituent people to invoke the vital interests’ clause, under a procedure involving the upper house in each entity. Despite internal tensions, the ruling Alliance for Change has preserved its fragile coalition both at the State level and in the Federation. Yet, the upcoming general elections of 5 October have begun to put pressure on its cohesion. In the election context, the High Representative issued on 27 March three Decisions amending the Entity and State legislation governing the eligibility of candidates to run for elected office in BiH. Consequently, no person who has been removed by the Provisional Election Commission or the Election Appeals Sub-Commission, or been removed from public office by the High Representative shall be permitted to be a candidate, to hold an elected mandate or an appointed office. As a result of these decisions, the main Bosniac and Croat nationalist parties, i.e., the SDA and HDZ respectively, resolved to replace some influential people in their leadership structures. The Serb Radical Party (SRS) also undertook to renew partly its governing body. All these parties have been authorised to run for the elections. On 18 May, which was the deadline for applications, 57 political parties, nine coalitions and three independent candidates had registered to participate in the elections. Moreover, the abundance of candidates in both entities complicates the efforts of the moderates to limit the influence of the nationalist parties, i.e., the SDS, HDZ and SDA. In the last part of the reporting period, several corruption and/or embezzlement cases concerning customs administrations in both entities came to the attention of the public. Since the fight against corruption is one of the major goals of the International Community, Lord Ashdown decided to act forcefully in these cases. As a result, the directors of both customs administrations were compelled to resign in June and experts were appointed to replace them. With regard to the Ministers of Finance in both entities, RS Minister Vracar resigned while his opposite number in the Federation, Minister Grabovac, had to be removed by the High Representative on 14 June. The introduction of the Citizens’ Identification Protection System (CIPS) reached a decisive phase. On the basis of the legislative package adopted on 25 October 2001 by the BiH Parliamentary Assembly, implementation steps were taken under the chairmanship of a domestic expert. 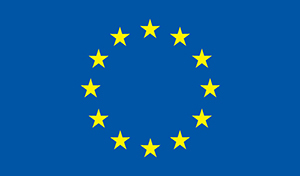 On 28 June the High Representative had to issue a decision concerning the format of the identification cards (ID) in order to remove a reference to the entities which was in conflict with European data protection standards and to allow for the inclusion of fingerprints in the computer-readable segment of the future ID. Once in place CIPS will serve as an invaluable tool in the fight against terrorism and illegal immigration. It will be a further step towards the European standards in the field of personal identification and travel security. It could also help contribute, over time, to the easing of the visa requirements for BiH citizens, inter alia vis-ŕ-vis EU Member States. A number of high level visits from officials of the International Criminal Tribunal for the Former Yugoslavia (President, Chief Prosecutor of ICTY, etc.) has highlighted the need to change the way in which BiH courts deal with war crimes trials. Four experts engaged by the OHR developed, in collaboration with the BiH authorities, a proposal to have trials in a division of the Court of BiH («State Court»), with BiH and international judges, and with links to both the ICTY and some Cantonal and District Courts. A significant step in the post-war healing process took place on 29 June 2002 when the Foundation for the Srebrenica-Potocari Memorial and Cemetary launched the tender process for the conceptual design and construction of the site. Upwards trends are noticeable on returns of and property repossession for refugees and displaced persons. As of 1 June the overall implementation rate of property laws has reached 52 % in BiH as a whole. In the Federation, the number of solved property claims stands at 57 % and in the RS at 45 %. The figure for the Brcko District is 55 %. The overall economic situation of BiH remains unsatisfactory. Although it shows modest progress, the overall picture remains bleak. The unemployment rate is unacceptably high (ratio of employed and unemployed being circa 1.5 : 1), particularly in the RS, despite the fact that a number of officially jobless people are employed in the ‘’grey economy’’. The OHR has further concentrated its efforts on the creation of a single economic space in BiH, which is essential to put the country on a stable economic footing and, in particular, to stimulate investment (per capita foreign direct investments in BiH are currently estimated to be at € 42) and contribute to the fulfillment of the requirements of the EU Road Map. Privatisation of small scale enterprises has been encouraging with 65 % of those privatised in the Federation and 42 % in the RS. However, privatisation of large scale firms remains lacklustre with only 16 % of those fully privatised in each entity. The slow pace of the privatisation of strategic companies has been a constant preoccupation, especially in the last six months, both for the domestic authorities and for the International Community. During the month of June the Federation government has undertaken to fund the reduction of the Federation armed forces by paying a redundancy lumpsum to each of the 10, 000 soldiers who have accepted to leave the army. A similar decision in principle, whose implementation is supposed to be progressive, was made in the RS. At the same time, in the budget adopted on 30 May for the current fiscal year it appears that the biggest governement expenditures are debt servicing and maintenance of a burgeoning bureaucracy that consumes more than 50 % of the country’s GDP. Unfortunately, the entities (especially the Federation) have found it difficult to collect revenue on time and in the amounts forecast, resulting in deficiencies in their payments to budgetary beneficiaries. Together with the different BiH authorities, the IC mapped out projects regarding the simplification and harmonisation of excise and tax systems within BiH. A series of high-level exchanges between BiH and its two neighbours bears witness to the continued normalisation trend in their relationships. During the reporting period the Inter-State Councils on Co-operation between BiH and the Republic of Croatia and BiH and the Federal Republic of Yugoslavia (FRY), respectively, held one session each. The BiH Foreign Minister paid visits to Zagreb and Belgrade in order to try and hasten the pace of pending negotiations, in particular on border issues and dual citizenship agreements. BiH and Croatia concluded on 17 June in Sarajevo a Treaty on co-location which provides the legal framework for the functioning of jointly operated border crossing points. Previously, BiH and the FRY had signed in June a bilateral agreement on determination of border crossings. However, overall improvement cannot mask the persistence, at times for want of political will in BiH, of outstanding dossiers such as dual citizenship discussions, stalled ratification procedure of key agreements or the situation at certain border crossing points. On 28 February the Steering Board of the Peace Implementation Council accepted the offer of the European Union to provide a Police Mission (EUPM) as of 1 January 2003, after the completion of UNMIBH’s mandate. It also appointed Lord Ashdown. On 11 March, the General Affairs Council appointed him as EU Special Representative (EUSR) in BiH. This so-called ‘’double-hatting’’ as High Representative and as EUSR reflects the importance the EU attaches to building self-sustaining peace in BiH and to its long-term commitment to the country as a potential candidate for EU membership under the Stabilisation and Association process. In the meantime, on 5 March, the UN Security Council agreed to the designation of Lord Ashdown as High Representative and endorsed the reform plan whilst pointing to the need for a seamless transition between the UN-IPTF and the EUPM. On the occasion of the 10th session of the Consultative Task Force between BiH and the European Union, which took place on 19 March in Sarajevo with the collaboration of the OHR, the state of completion of the EU Road Map was reviewed. It was noted that BiH had fulfilled nine out of its eighteen requirements, thus moving forward, albeit slowly, towards the launch of a feasibility study on whether BiH is ready to embark on negotiations for a Stabilisation and Association Agreement (SAA). On 24 April in Strasbourg, BiH joined the Council of Europe during the session of the Parliamentary Assembly which was attended by the BiH Presidency, the Chairman of the Council of Ministers and the Minister of Foreign Affairs. The BiH authorities have welcomed these developments. They increase the visibility of the country on the international scene whilst emphasising the importance of its rapprochement process with mainstream Europe, and with the European Union. During the reporting period several high-level visits were paid to Sarajevo, including on the tenth anniversary of the start of its siege. The President of the EC Commission, Romano Prodi, visited Sarajevo on 6 April and paid tribute to the courage of the inhabitants of the city during those dark days. During the period, there were also visits by the EU Secretary General/High Representative for CFSP, Javier Solana, and by the Commissioner for External Relations, Chris Patten. The visitors saw a range of top BiH officials and the High Representative, and reviewed progress in implementation of the General Framework Agreement for Peace (Dayton/Paris accords), and of the EU’s Road Map. Mr. Patten also visited Mostar. Lord Ashdown took over from Mr. Petritsch on 27 May. He gave an inaugural speech to the BiH Parliamentary Assembly, addressed the population of BiH on television and went on a trip throughout the country ranging from Banja Luka to Mostar, from Tuzla to Bijeljina and Brcko. He systematically outlined his priorities with the motto: first justice, then jobs through reform. He insisted on the urgency of firmly establishing the rule of law as a prerequisite for a climate propitious to domestic and foreign investment and, of course, to the creation of jobs. He took each and every opportunity to reiterate his determination to rid Bosnian society of corruption and organised crime so as to pave the way for its genuine prosperity.